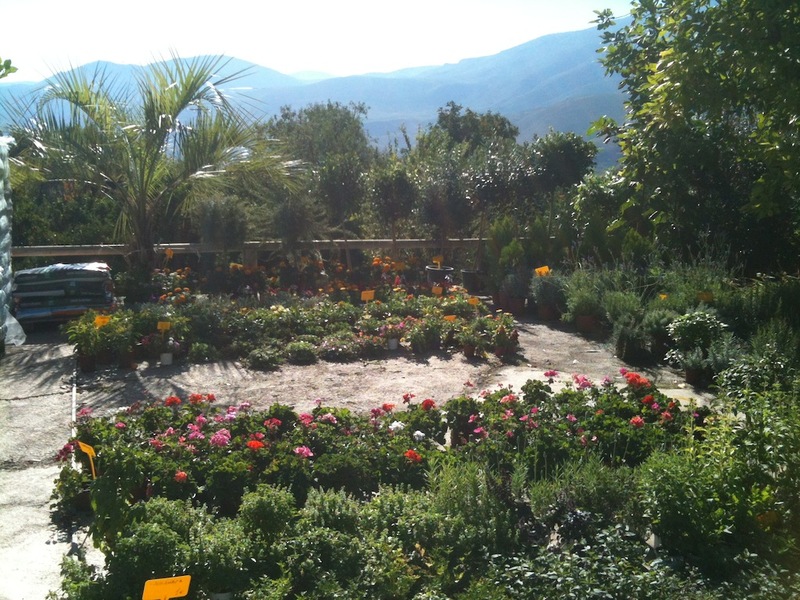 Expecting people to enjoy this post about a garden centre in Órgiva is like a request for us to get excited about an ironmongers in Jaén. However, it is a lovely place and for anyone staying any length of time here, it may be useful. After all, Spanish food – from a simple tomato salad to a stew – demands herbs. And we all like a nice succulent. Around here people love their plants, shrubs and trees – some gardens we’ve seen are like tropical jungles, bursting with colour and life. And what an environment to grow things in. Anyone who loves cooking will love fresh herbs. The supermarkets aren’t great on supplying them – parsley maybe and the occasional bunch of limp coriander which is ‘hard to grow in Spain because of the heat’ (we’ve been told this on more than one occasion…um…Thailand anyone…?). Centro Jardinería Órgiva is located on the road out of town towards Lanjarón. It’s packed full of plants and has a greenhouse reminiscent of the Terracotta Army. Centred around a charming ivy-clad building, there’s a pin-thin tabby who keeps the rats away. There aren’t many garden centres you can look beyond its boundaries and see beautiful trees and flowers continue – like a floral infinity pool. 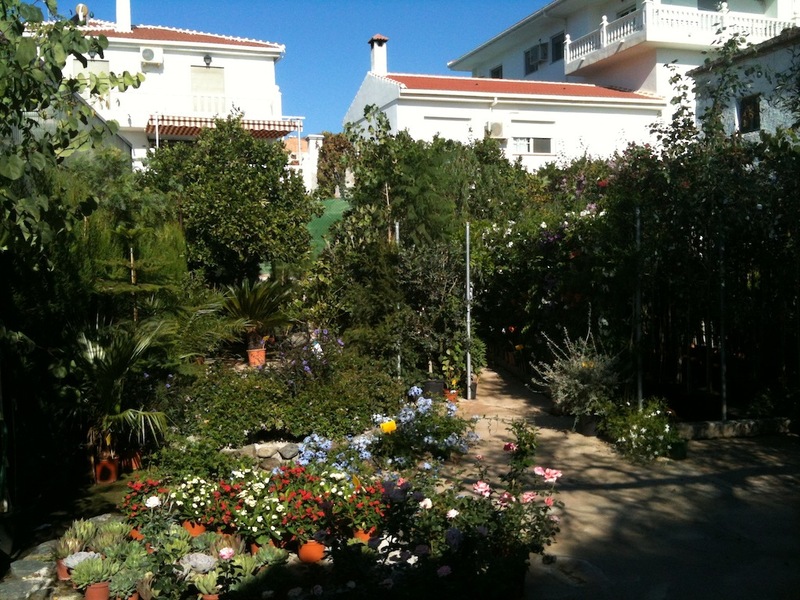 There are orange and lemon trees for sale; banana plants; huge cacti and pastel pink bougainvillea. Bushy basils are a euro, succulents with pristine red flowers €3 – and small palm trees can be had for €80. Thankfully there’s a complete absence of gnomes and bubbling ‘fountains’ that look like a stack of turds being urinated on. Danny runs the place and is very knowledgeable about plants and their Latin names (which we can’t even pronounce, yet alone understand). 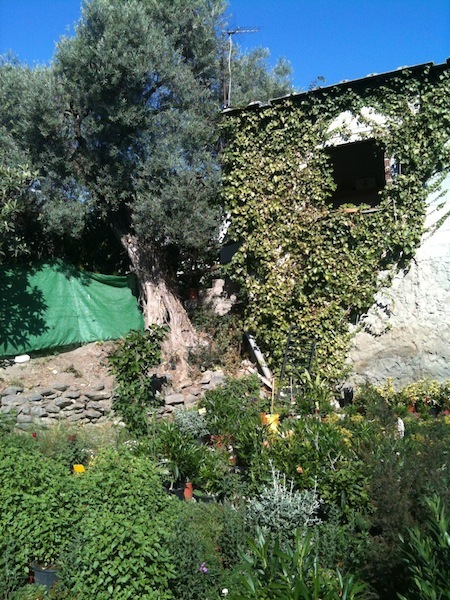 We do miss our Andalucian Acclimatisation Capsule so are planning a herb garden; six plastic pots and some compost. Herbs like rosemary and oregano thrive in the crappiest soil going so maybe we just need to dig up some bone-dry earth and be done with it. If you can spend a day at Kew Gardens, you’d be fine with 30 minutes here. No basil – can we take the kitten instead?